It has to be said that Ezra Koenig is one of the most underrated vocalists, maybe, of all time. He has the ability to control his consonants and vowels unlike any other singer out there. (If he tried his hand at hip hop I don’t think I’d be surprised or disappointed.) He knows his words well (hell, he majored in English Literature at Columbia). Koenig’s audacity in his vocals is just one of many things that makes Vampire Weekend so unique. I am constantly blown away by how much he can fit in to one breath. Just listen to “Worship You” [below] because you won’t find yourself arguing with me. But there’s more to it than that. There always is. 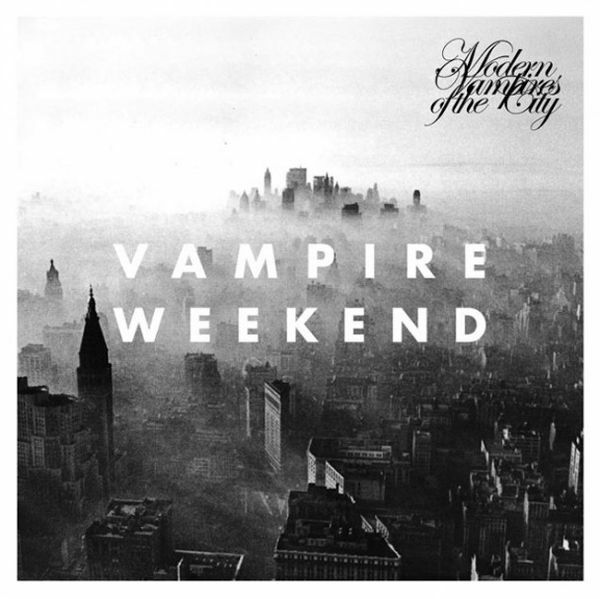 Out now on XL Recordings, Modern Vampires Of The City is has joined the world and rounded out the third record of Vampire Weekend’s discography – that is, right now, perfect. This record might have a title that rubs you the wrong way (it is weird, but whatever) but the record itself will leave you happy for days. (And you’ll be listening to it for days.) Vampire Weekend took everything they learned in their twenties and turned it into a beautiful soundtrack about growing up, (growing up in New York City) and figuring out life. What else would twenty-somethings be concerned with? This record is sharp and wip-smart. Album opener, “Obvious Bicycle,” sounds like a different version of the Vampire Weekend we’ve all spent the years falling in love with. From what sounds like the grind of a tambourine and hand drums, they’re slowing it down on purpose. Like kids who finally want to be taken seriously: “You better spare your face the razor/because no one’s gonna spare the time for you/you outta spare the world you labor/it’s been 20 years and no one’s told the truth.” And this is just the first track. Around 2:15 in there’s this industrial open and close the chorus does. Then the piano holds, like you used to play with the pedals as a kid, and it’s magnificent. The bass of it undulates and the treble tinkles in and out. “Step” is unbreakable. [Hear it below.] It’s airy at first and then wakes you up with the sounds of a 19th century-arranged electric piano part, that dances its’ way around the rest of the track. Meanwhile, the sentiment matches the structure of the song. Growing up has never sounded so good and strange. I know we can all relate: “the gloves are off/the wisdom teeth are out/what you on about?/I feel it in my bones/I feel it in my bones.” I feel it in my bones, too, Ezra. Because I might as well mention every song on this record, “Young Lion” is charming. The piano wraps itself around you and all the boys (the band’s other everyman Rostam Batmanglij, drummer Chris Tomson and bassist Chris Baio) chime in to round out the record with a choir. It’s only 1:45 and ties the record into a bow-tie: striped, polka-dotted, solid – whatever you like. There are a lot of colors on this record but it’s not psychedelic. It’s not generic or unusual – it’s unforgettable. Modern Vampires Of The City is refreshing. Vampire Weekend did it again. They are good at so many things and making records is just one of them.